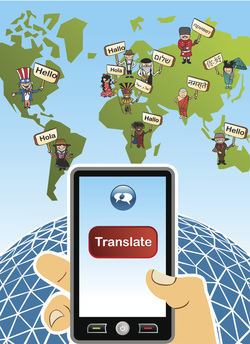 A professional translator works with written documents to convert them from one language to another. Translators work by reading the text in their non-native language and re-writing it into their native language. In this way, you receive a finished work that reflects the nuances of the destination language. Professional translators also know the difference between regional languages. This means that their translations into Spanish spoken and read in Mexico City will be different from those meant for the market in Madrid. Texts will reflect grammatical differences, idiomatic differences, and cultural differences. Additionally, languages have their own sets of rules for capitalization and punctuation. A native translator will know these rules inside and out. You don't want your target audience misunderstanding your translation for want of a tilde. Do you wish to have an instruction manual translated or a marketing brochure? Is it destined for a patient or a doctor? Make sure you tell your translator who will be reading your document. The sophistication and tenor of the final document will be very different depending on the intended audience. If your translator returns a finished document to you and hasn't asked a lot of questions along the way, your document may not be as well-translated as you would like. Translators need to be sure they understand the material inside and out so that they can convert it into just the right words and phrases to convey the original meaning of the document. If they're not asking questions, it's a sign that they may just be converting word for word, not meaning for meaning. When you hire a translator to translate materials that are extremely detailed or use a lot of critical industry language, you need to be sure that the translator has the necessary background to supply the terms you need. You also need to give the translator as many background materials as you can. The more the translator can familiarize himself with the business context, the better his translation will be. Many companies try to save money by using bilingual employees to translate their documents. Unfortunately, while bilingual people can speak two languages fluently, that does not mean that they know how to translate effectively from one language to another. Translation is a professional skill that requires study in order to learn how to convey the original thought into a new language, while reflecting the new language's style and local terminology. A well executed translation can be expensive, particularly if the subject matter is technical or the language is uncommon. However, you will keep costs lower if you wait until the origin language document is final before beginning the translation. If you try to jump-start the process by beginning the translation before you have a final document in hand, you'll spend more money and your final translated document will likely have more errors due to problems with version control. Think You'll Save Money with Translation Software? Think again. While it's tempting to believe that you can just run your document through a computer and a fully translated document will appear in seconds, translation is not that simple. As cited in the American Translators Association booklet, "Translation: Getting it Right," a Wall Street Journal test demonstrated that while translation software can get enough right that basic meaning might be conveyed, it is not useful for "business or anything that remotely requires accuracy."